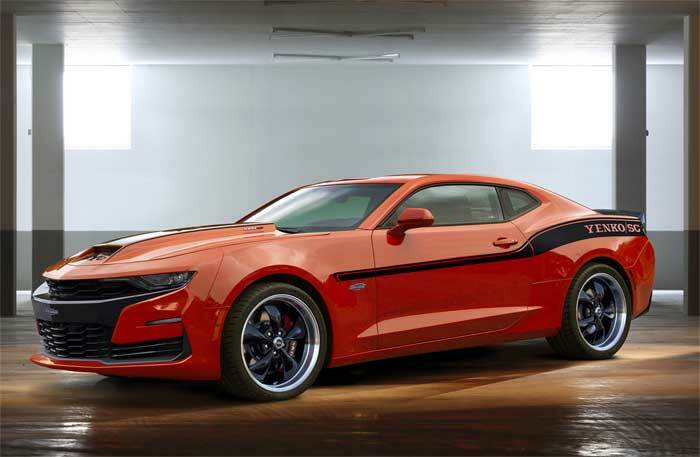 Specialty Vehicle Engineering has announced that people with pockets deep enough to afford one can now order the 2019 Yenko/SC Stage II Camaro directly from Chevy dealers. The car is a limited production ride with only 25 units being built. All of them are built on the 2019 Camaro 1SS or 2SS with the 1LE package. That 1LE package brings with it some very cool features including Magnetic Ride Control, Electronic Limited-Slip Differential, Performance-Tuned suspension with unique bushings, springs and stabilizer bars, and heavy-duty cooling system including engine oil cooler, dual outboard radiators, transmission cooler, and rear differential cooler. Yenko additions include an engine that is gone through with updated rods, pistons, and lots of other parts to allow it to survive a massive supercharger and loads of boost. The modifications to the car give it 1000hp. Lots of style tidbits are added to the car as well and Recaro seats are part of the 1LE package. Each of the 25 cars are numbered and have a Certificate of Origin to prove authenticity. Pricing is unannounced but expect these cars to cost big money.